Cherry Mobile announces Christmas promo, save up to 25 percent on smartphones! Home / cherry mobile / mobile / news / Cherry Mobile announces Christmas promo, save up to 25 percent on smartphones! 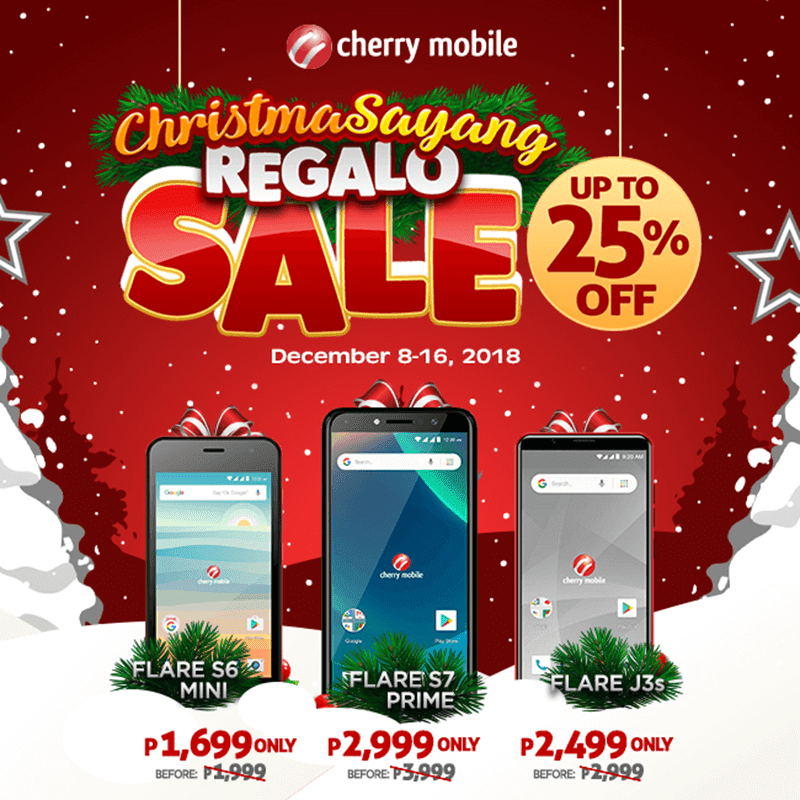 Cherry Mobile just announced its Christmas promo of 2018, the Christmasayang Regalo Sale. The smartphones that will be on sale are the Flare S6 Mini, Flare J3s, and Flare S7 Prime. 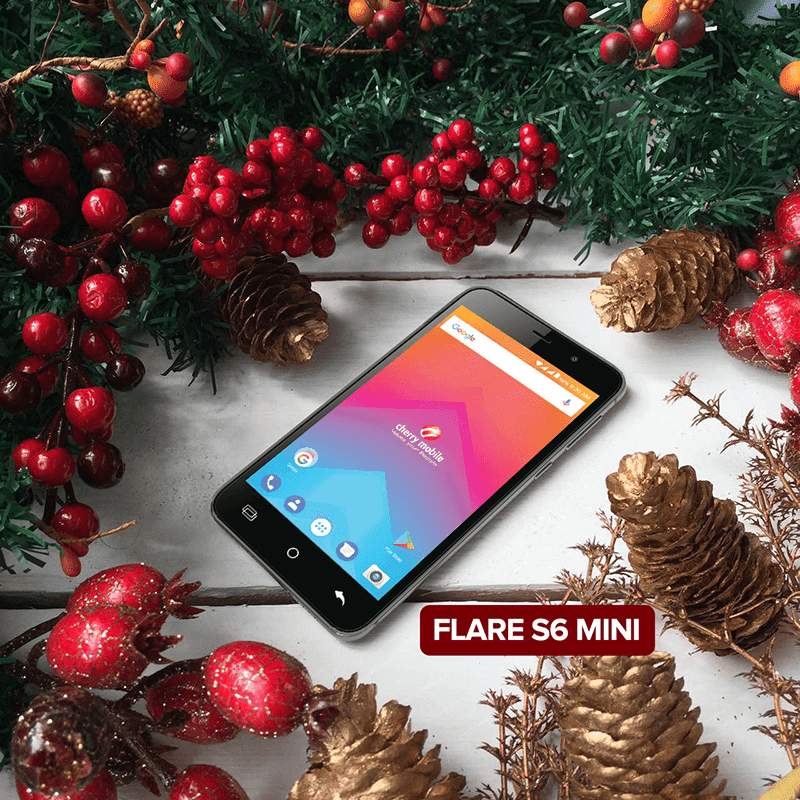 The Cherry Mobile Flare S6 Mini will be on sale from PHP 1,999 to PHP 1,699 which is equivalent to PHP 300 of savings. It is a budget Android device with 4.5-inch screen, quad-core processor, expandable 4GB storage, and Android Marshmallow OS. It'll come in black, gold, grey, red, and mocha color options. 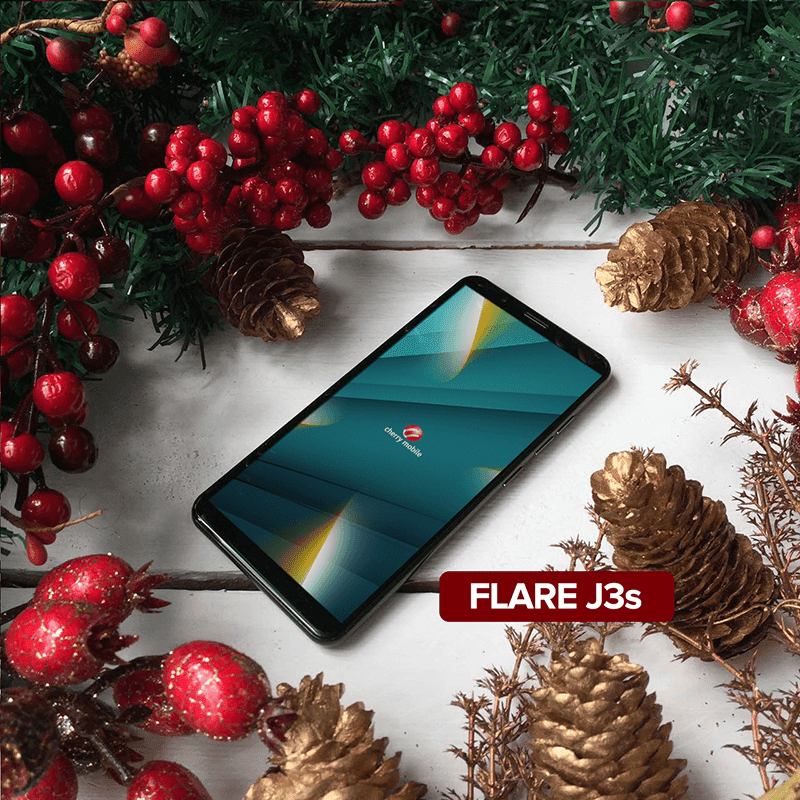 The Cherry Mobile Flare J3s will be on sale from PHP 2,999 to PHP 2,499. It comes with a 5.3-inch TrueView 18:9 screen, 2,000mAh battery, 8MP main camera, 5MP selfie camera, and the lightweight Android (Go edition) OS. 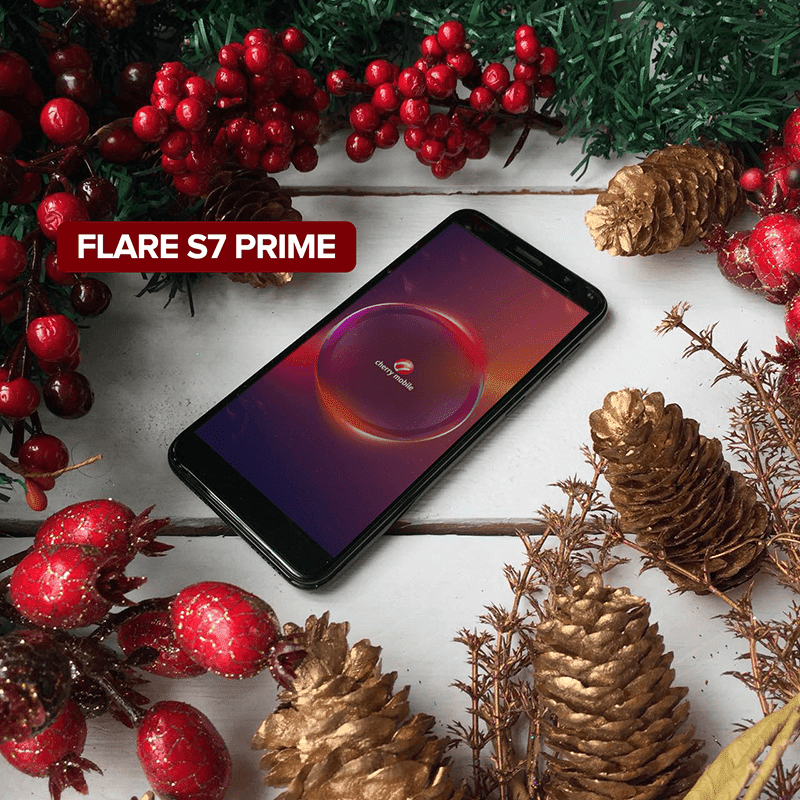 The Cherry Mobile Flare S7 Prime will be on sale from PHP 3,999 to PHP 2,999. It features a 5.5-inch HD+ TrueView 18:9 screen, fingerprint sanner, and Android Oreo (Go edition) OS. It comes in red, gold, and purple colors. The sale will run from December 8 to December 16, 2018 nationwide. Cherry Mobile will out select Android smartphones on sale with up to 25 percent of savings. Aside from the sale, you may also get a chance to win at Cherry Mobile's Wish Upon A Cherry Promo for every purchase of any Cherry Mobile smartphone. For more info, check the website of Cherry Mobile here.